There is only one garage door service company in Louisburg, KS that truly knows and understands your garage door concerns. A1 Garage Door Service has been around for a long time. We have been the most trusted garage door service company here in Louisburg. We have sold, installed, fixed, and taken care of the garage doors of countless homeowners in the city of Louisburg and nearby areas. We are a household name when it comes to garage door needs. Because every homeowner here in Louisburg knows that they can only get the best service from A1 Garage Door Service. A1 Garage Door Service is a local business that has taken all the necessary steps to make its business first class. This is because we have such great respect for the people of Louisburg and we believe that they deserve nothing but the best service when it comes to taking care of their garage doors. As a fruit of our hard work, the Better Business Bureau has given A1 Garage Door Service the highest possible rating. The A+ rating that was awarded to us after the accreditation is a badge that we carry. It is a testament to the trust given to us by our customers and how they have recognized our integrity and commitment to providing excellent service to the people of Louisburg. We value the trust that BBB and our customers have given us. It pushes us harder to give our best each time you call us to respond to your garage door needs. The burning desire to always give excellent service comes from our family’s unwavering commitment and dedication in this industry. As they say, we live and breathe garage doors. Our family is very passionate about this business. 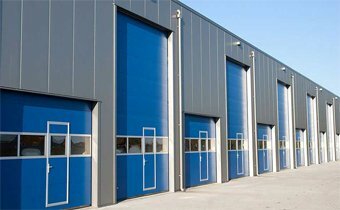 We strive hard to know the ins and outs of the business and everything there is to know about each particular brand of garage door and its parts and accessories. This is the main reason why our knowledge and expertise in the field is unparalleled. We are always thirsty for information and we want to know the latest in the industry so that we can share them with our customers. Our customers in Louisburg can trust that we will continue to provide you with excellent service that A1 Garage Door Service has been known for. A1 Garage Door Service has been rated as a five-star company on Yelp and Home Advisor, websites that help customers find the most trusted businesses to deal with. This is another feather in our cap as it is our customers who have given us those stars or ratings based on their personal experience with A1 Garage Door Service. Again, we are grateful for the positive reviews and we promise to continue to render only the best service to answer your garage door needs.